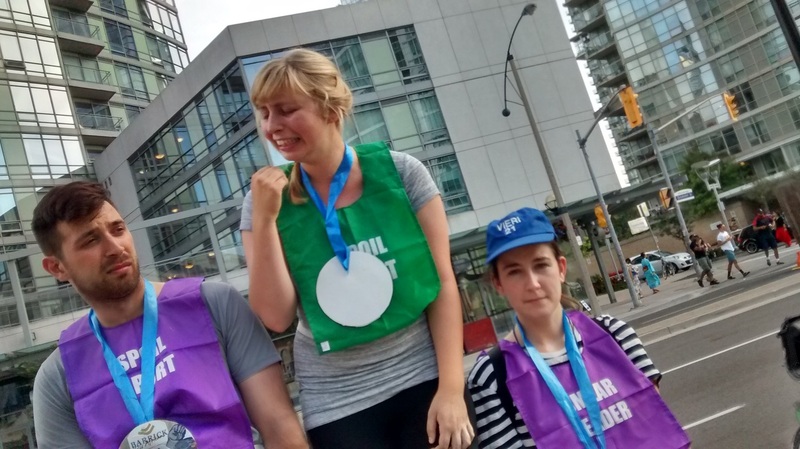 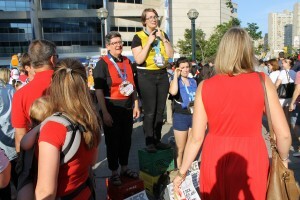 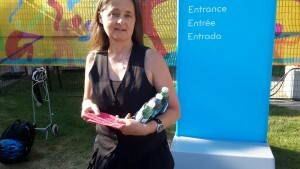 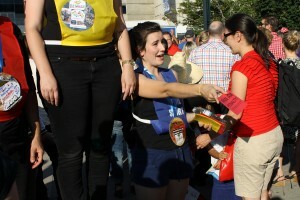 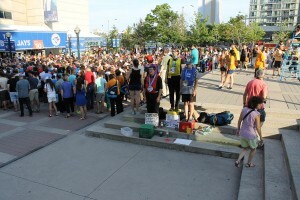 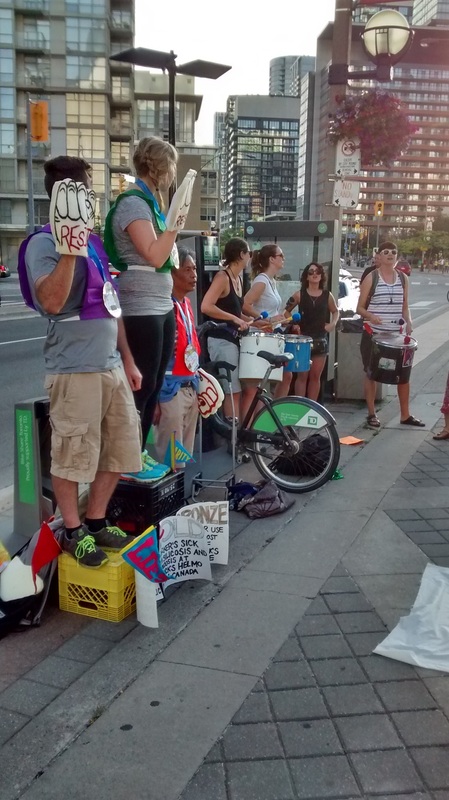 From July 10th to July 24th, 2015, people waiting in line to attend Pan Am Games events were greeted by an unexpected sight: three people standing on milk crates set up like podiums, moaning and wailing; cheery people with pompoms handing out off-colour bottles of water with labels reading “cyanide” and “arsenic” to passersby; and ‘referees’ distributing yellow and red cards reading “Pan Am Penalty!”. 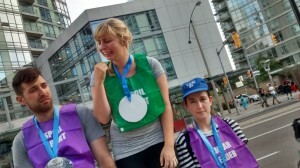 Sticking out like a sore thumb amidst the glitz and glam of Pan Am marketing, each of these people have been wearing brightly-coloured sports pinnies reading either “Spoil Sport” or “Smear Leader”. 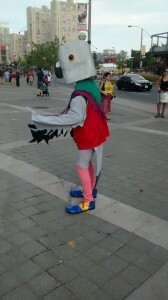 Showing up unexpectedly at Pan Am venues across the city, these performers were brought together as part of ‘Spoil Sports and Smear Leaders, MISN’s guerrilla street theatre intervention in response to Toronto’s Pan Am Games. 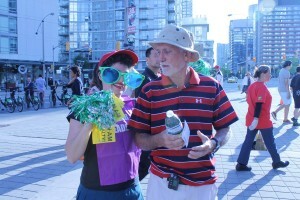 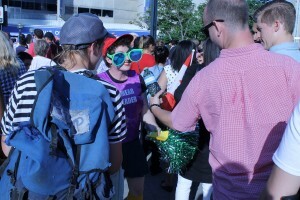 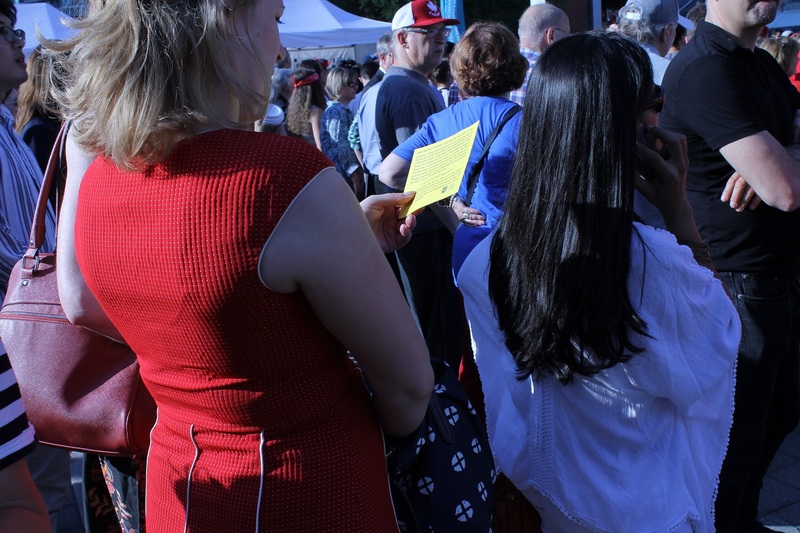 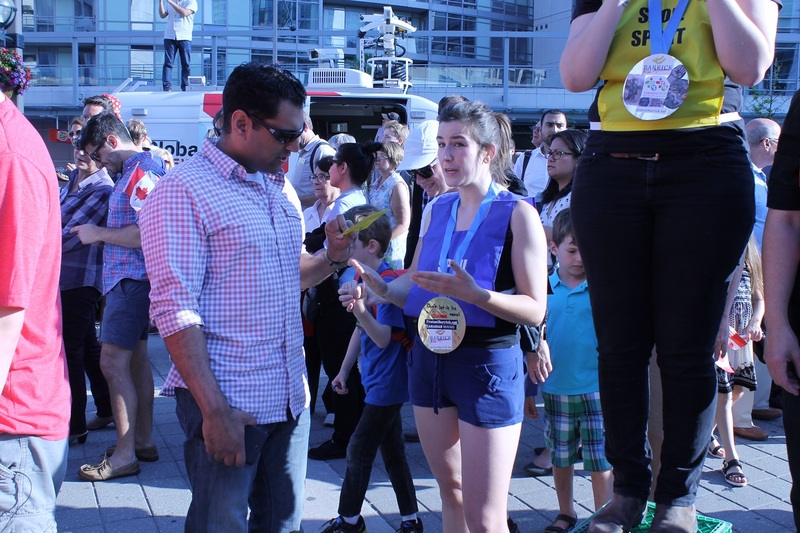 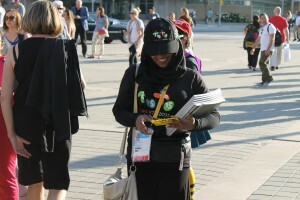 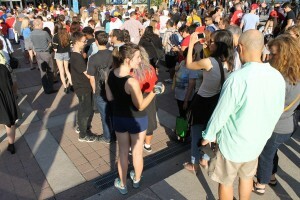 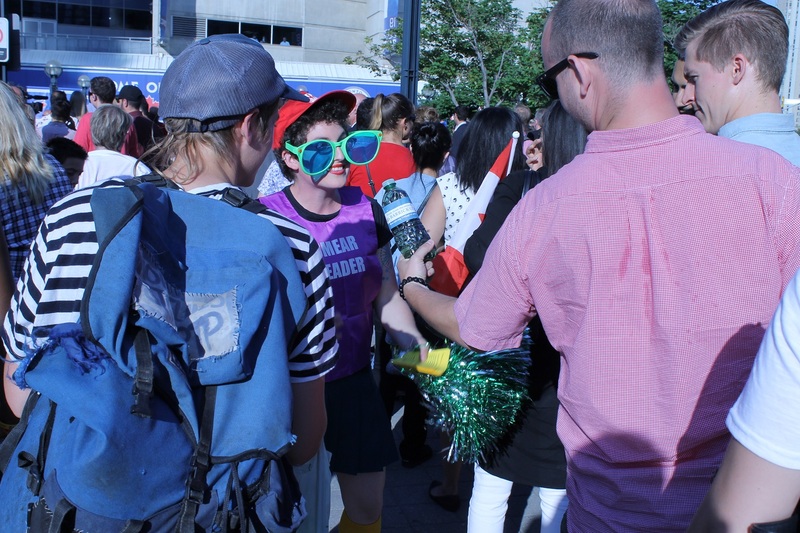 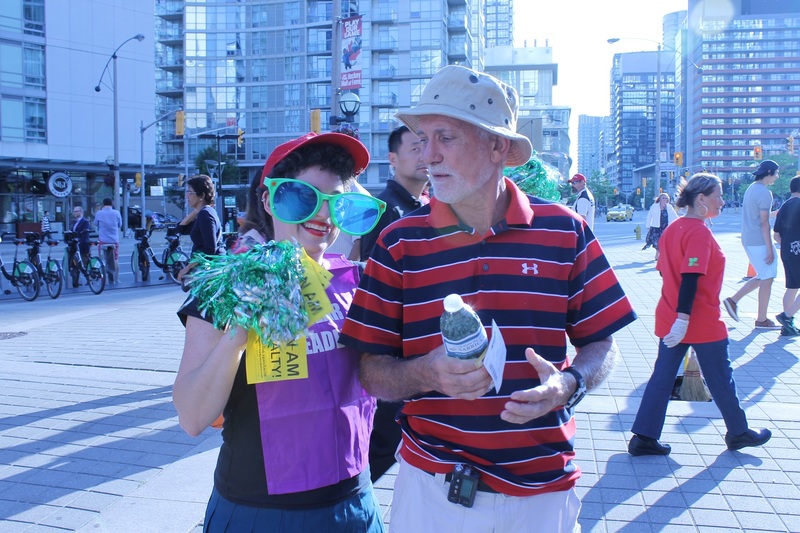 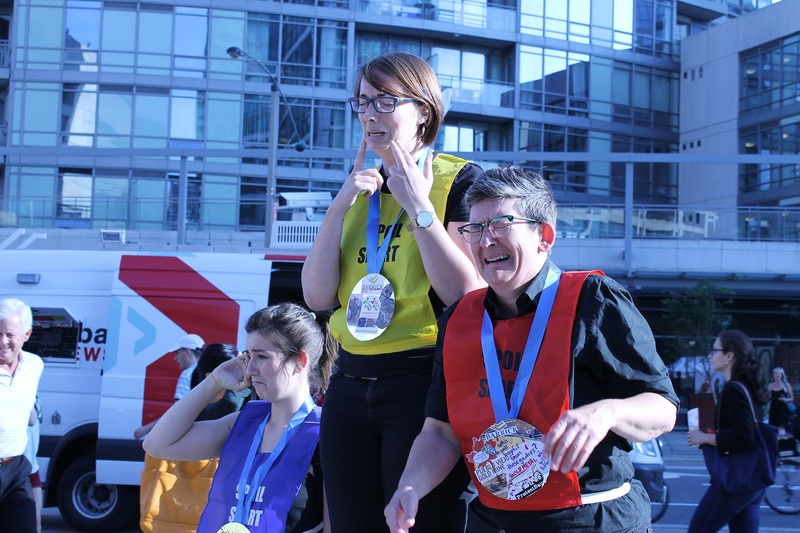 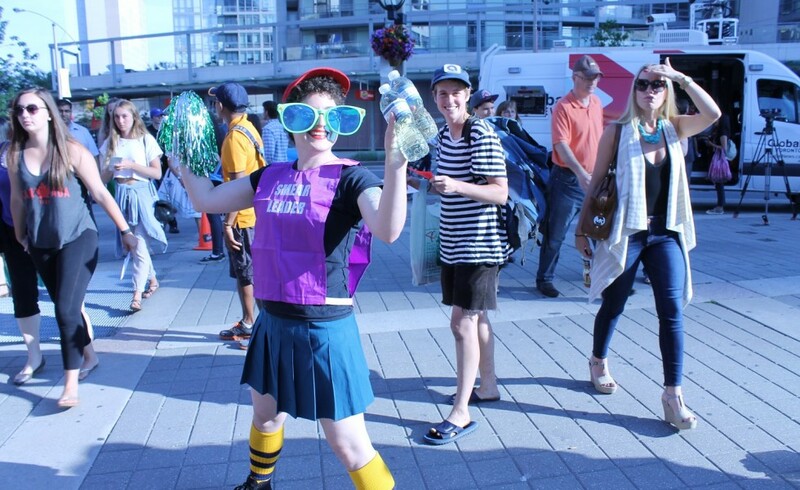 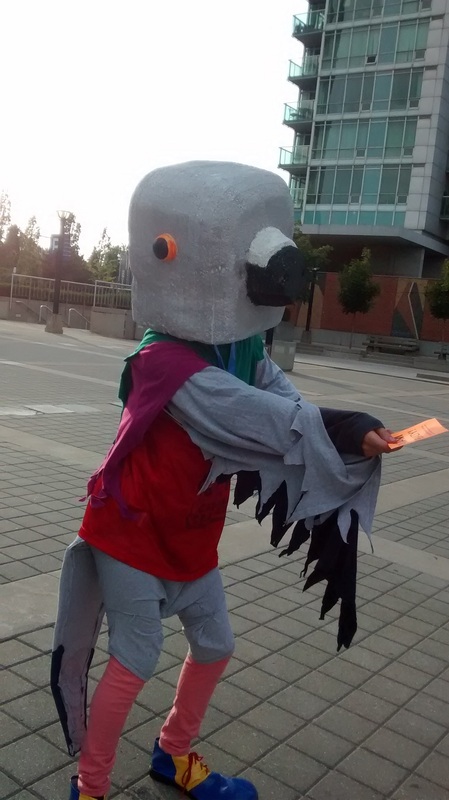 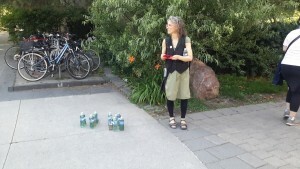 We had been soliciting and training interested Torontonians in street theatre tactics over a number of weeks in preparation for this action, seeing a need to create points of disruption in the ‘spectacle’ of the games. 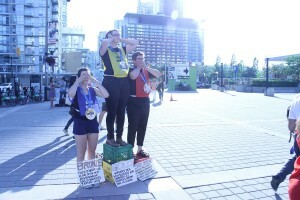 The central focus of this performative protest was Barrick Gold, the Canadian mining company that provided the materials for the 4,000 gold, silver, and bronze medals that were distributed over the course of both the Pan Am Games and the Parapan Am Games. As the largest multi-sport event in Canadian history, Barrick Gold’s participation in these games was an excellent opportunity for them to draw attention away from their soiled reputation after years in the spotlight for their human rights and environmental abuses, and we didn’t want to let that happen. 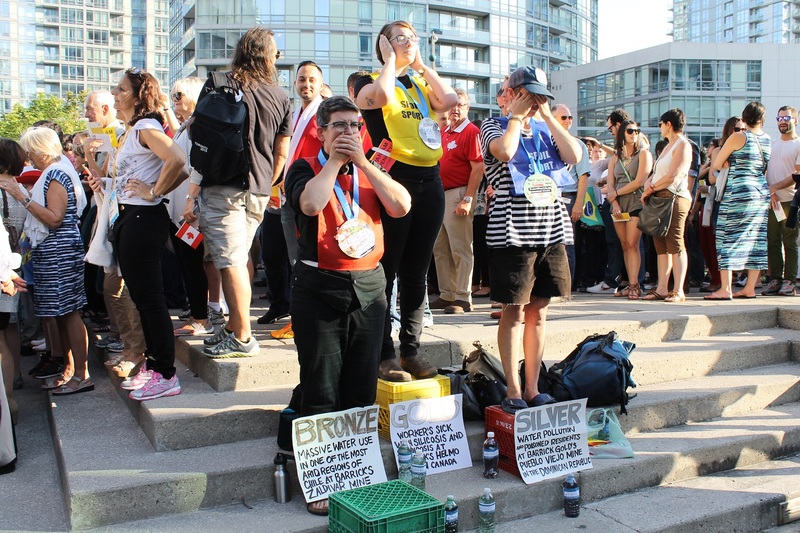 The design of the Pan Am Games’ medals was meant to suggest ‘unity across the Americas. However, Barrick Gold has become infamous for perpetrating violence, contaminating water supplies, causing illness, and bringing about a loss of livelihood at the mine sites where the gold, silver, and copper for these medals are produced. 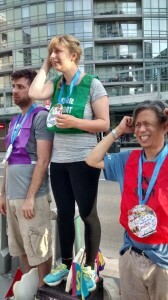 What kind of unity is that? 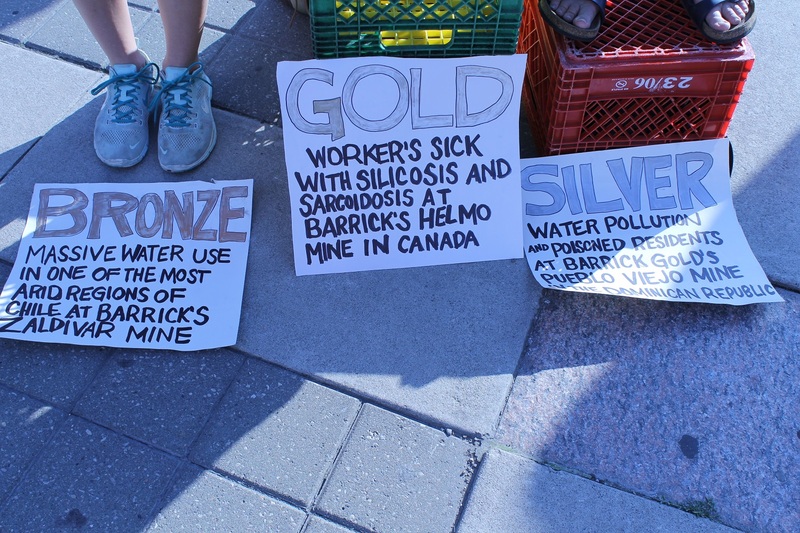 At Hemlo Gold Camp, the mine site located on the north shore of Lake Superior where the materials for the gold medals have come from, mine workers have reported numerous cases of lung ailments, including some cases of silicosis and sarcoidosis. 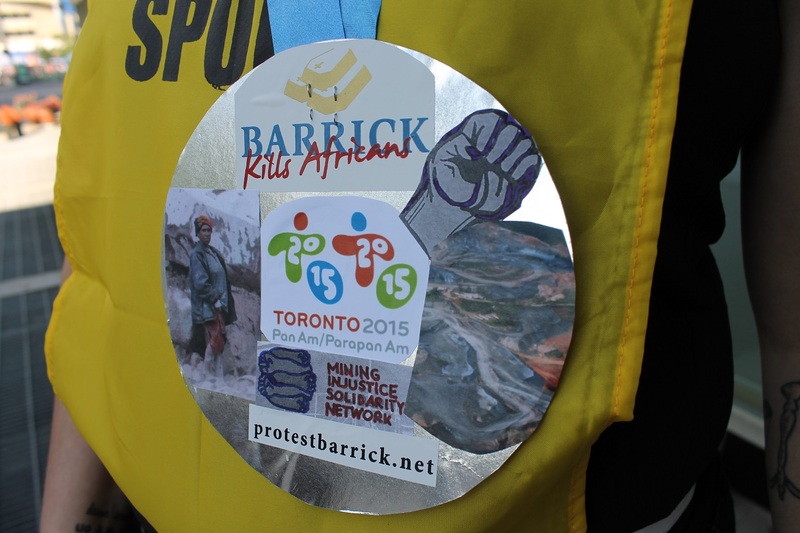 At Pueblo Viejo, Barrick Gold’s mine in the Dominican Republic and the source of materials for the Pan Am Games’ silver medals, residents claim that the mine is poisoning rivers, causing illness and the death of farm animals. 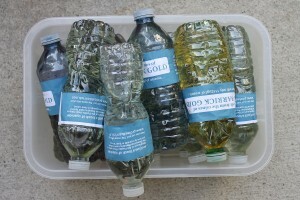 Barrick’s Zaldívar Mine in Chile, where the copper for the bronze medals come from, used 6,919,600,000 litres of water in 2013. While efforts in this extremely arid desert territory are made for water efficiency, water scarcity has pitted mining companies against farmers and others who fear for the quality and quantity of their supplies. These three mine sites are located in countries that are all represented and competing in the Pan Am Games. 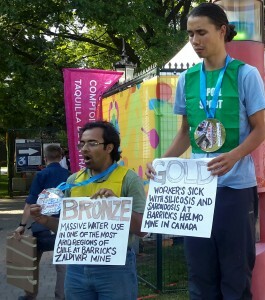 What does it mean that athletes from Chile and the Dominican Republic can travel internationally to Canada to play sports when many other residents of their country can’t live safely on their own land because of the Canadian mining company that sponsors these games? 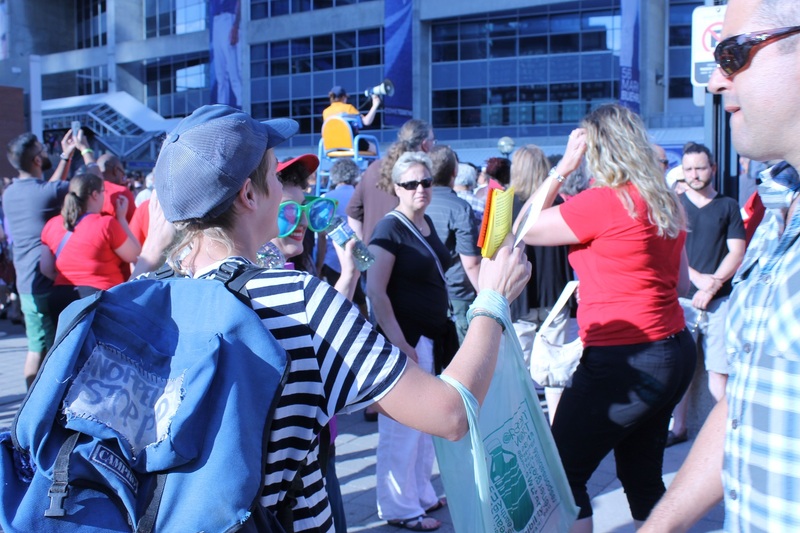 It can be hard to criticize a public sporting event, because for most people, it’s all fun and games. 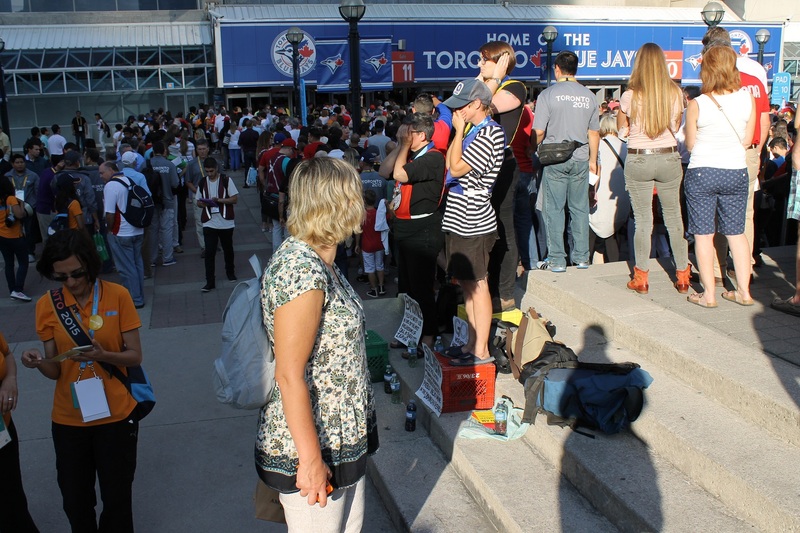 But as sports-lovers, games-lovers, and fun-lovers who are also opposed to colonialism, environmental destruction and human rights abuses, we embraced the inevitable with this action. 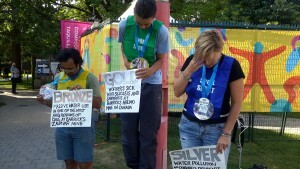 Yes, we’re spoil sports. 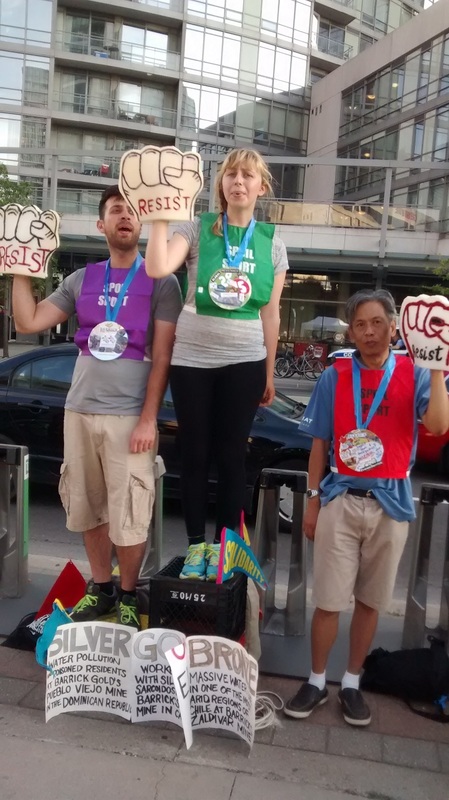 But we’ve got our reasons.